so - any thoughts / experiences with this model somebody out there? which IOS version is best for this model? so - anybody has experiences with dints on the backside of Ipads - are there any longterm problems which can be caused? I can’t imagine it would cause any problems. Usually issue arise from the screen being cracked and exposure to moisture. Got a pick of the dent? Woof... looks rough. I would not touch it. My policy is, unless it’s a rare hard-to-find piece of gear, I shy away from items that look like the owner didn’t care about it, even if the price is really tempting. You never know what REALLY may have happened to it. Yeah, that looks pretty bad. I'd be more worried that the battery was damaged myself, that could lead to some fire! 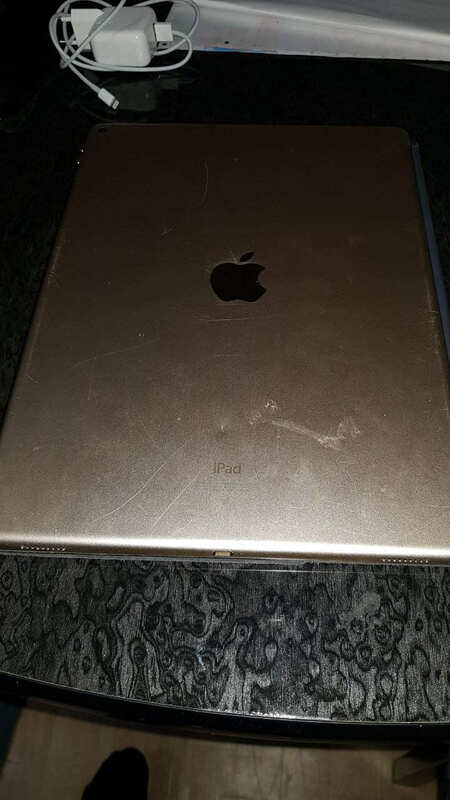 The issue with ipads with dents apart from the risk of damage to the internals is that the resale value might suffer. btw - the guys in an Ipad-Repair-Store said - either there is immediate damage by a dent - or otherwise - if functionallity is given 100% right now - it should be fine ,..
does anybody has experience with a 12,9 1st Gen and either a 10,5 or 12,9 2 Gen? beacause on paper - there is this huge gap in the benchmark tests between 1st and 2nd Gen - does this translate into real world performance while working with music apps - or is all this CPU-Power eaten up by the 120Hz display rate? I am sitting in front of Audioshare and AUM right now - but I just get it managed to record a multiple apps into a single track ... is there also a way to record each track inndividually by sending each single mixing track of AUM to audioshare? anybody else having expertise on this? aum itself will record the multi tracks.. just enable record for each channel. audioshare only does one stereo track ,, but with chaining of effects if you want. you'll find the seperate recordings in the Aum folder in audioshare named according to how you named and saved the aum project.